Dr. Zoufan is a continuing education provider who offers courses in the Bay Area for fellow dental professionals. 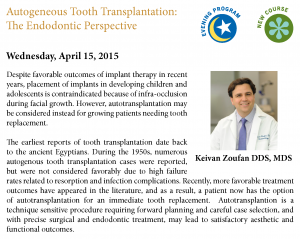 He is also on the UOP School of Dentistry Continuing Education Speakers list. Please check back often for various CE opportunities throughout the year.